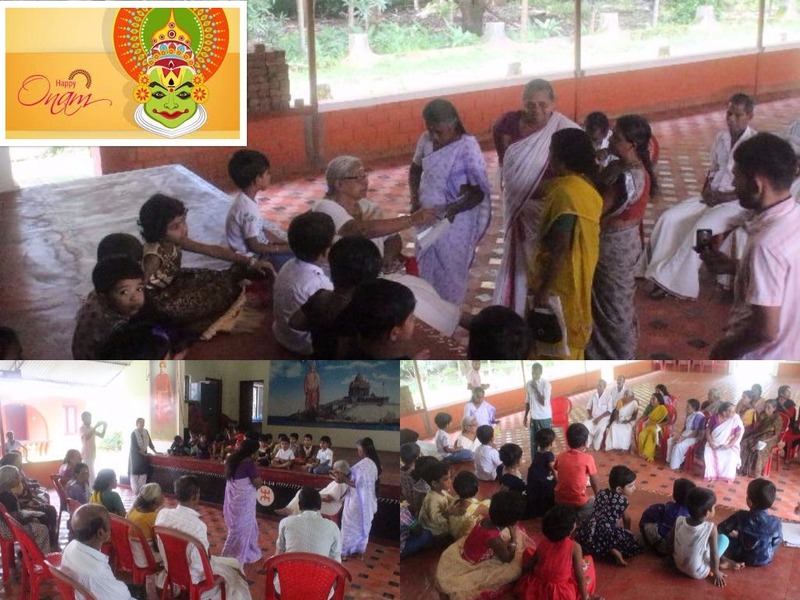 On the auspicious day of Ganesh Chaturthi, there was Ganapathi Homam and Sri Chakra puja, by the students of at Anandadham. 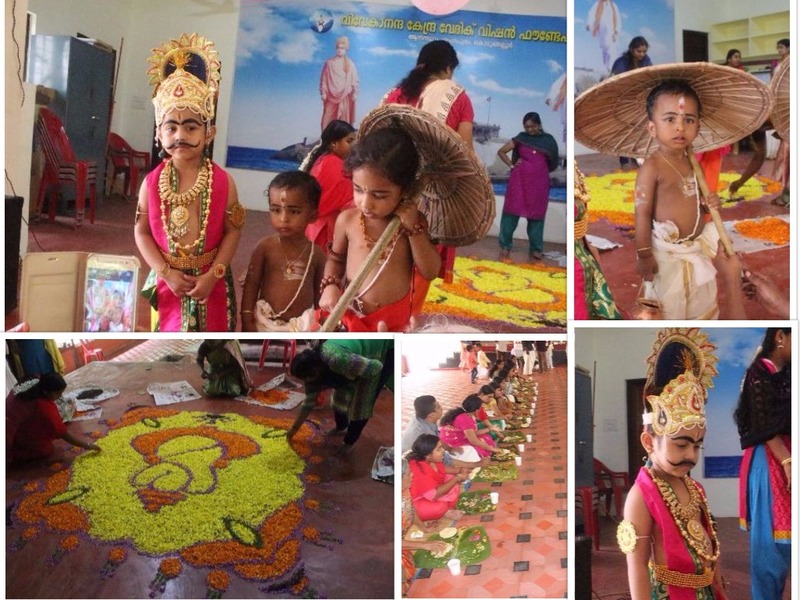 'pookalam' and also 'saddiya' or feast. From 10 am in the morning preparations started.Yoga Varga group was also invited. All the ladies together created a beautiful pooklaam. 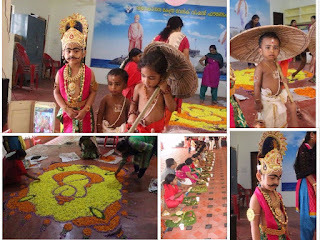 From among the LKG kids, one was dressed as King Mahabali and another as Vamana. Next followed community feast. Each mother had cooked some delicacy, so there were many items. 100 coupons were distributed among the local poor residents on the occasion of Thiru Onam. Each coupon was worth Rs 300/-, with which the recipient could buy what they wished from a particular Consumer shop directed by Vivekananda Kendra. Ma.Lakshmi Didi gave away the coupons.